Coming Soon - 12-Hour Kirtan! ~ The Toronto Hare Krishna Temple! Coming Soon - 12-Hour Kirtan! The much-awaited annual pre-Ratha-Yatra 12-Hour Kirtan is just a few weeks away. Featuring kirtan leaders from around the world, this is certainly a day not to be missed! 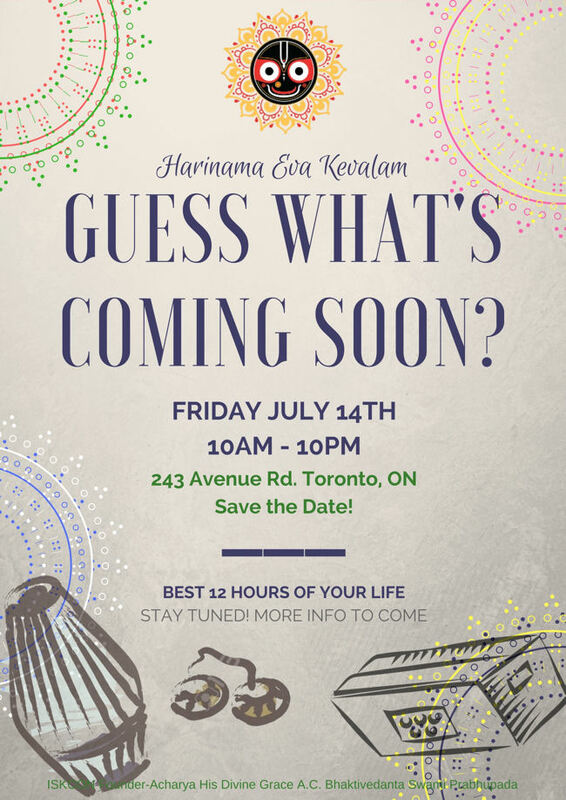 Being held on Friday, July 14th from 10am to 10pm at the Toronto Hare Krishna Temple at 243 Avenue Road, it promises to be the best 12 hours of your life! Book the day off work or school as this is your opportunity to immerse yourselves in 12 amazing hours of the transcendental vibrations of the Maha Mantra accompanied by singing, dancing, drumming and clapping. 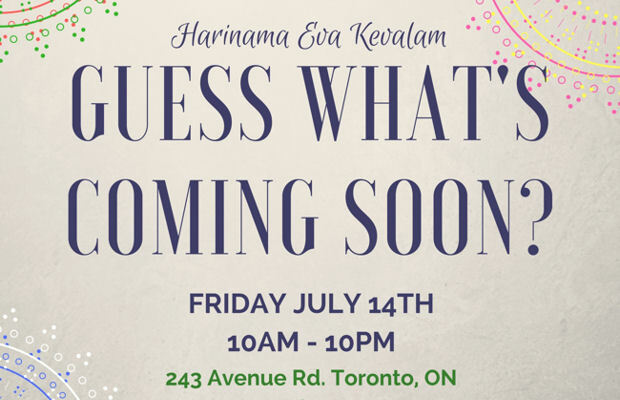 Stay tuned for the list of kirtanyas that will be descending on Toronto from all around the world! Don’t forget to invite and bring your family and friends on Friday July 14th, 2017. We look forward to seeing you there! Stay tuned for more information! I hope you will publish a list of lead singers and the times. Looking forward to HG Madhav Prabhu again. I hope he is coming. Yes, we will be publishing the schedule soon! 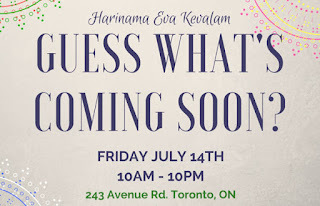 Will Govindas be open during the Kirtan night? Unfortunately, Govinda's will be closed on the day of the 12-Hour Kirtan. However, we will be serving prasadam (sanctified vegetarian food) throughout the day!